Squats are one the most fundamental and effective movements we can perform in the gym. However, they are so often performed improperly or are wrongly blamed for causing knee pain. More often than not, it’s not squats that are causing knee pain, but the way the squat is being performed that is causing pain. So let’s break these suckers down and get you feeling strong and confident in your squat! …Yikes. It’s easy to see how squatting with poor form can cause pain or increase risk for injury, right? Especially when performed with a weight! Set up with your feet slightly wider than shoulder width and point your toes outward at about 30 degrees. Your weight should be on your mid-foot. 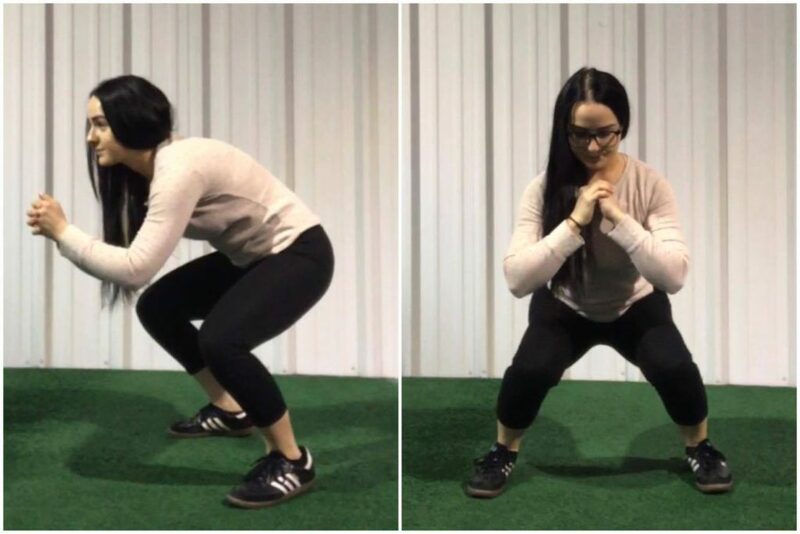 While those are general guidelines to follow for good squat form, how YOU squat is going to be individual to YOU and your unique structure. Your ideal foot placement and squat depth will be a position that allows you to keep enough tension in your hips and core to maintain your neutral spine and upright torso in the bottom of your squat. If you find yourself “dropping” into the bottom of your squat with your lower back rounding like the video below, check your tension and your foot position and try not squatting as deep. When teaching new clients how to squat, I usually have them squat to a box that allows them to hit parallel (meaning in their bottom position their hips reach the same height as their knees, making their thigh parallel with the ground). This gives them a point of stability in the bottom of their squat and helps build solid strength in that range of motion. Over time, we lower the box until it is no longer needed. Squats are an integral part of my Fit In 15 program. If you’d like to put your newly badass squat form to good use with 15 workouts that are full body, super effective, can be done in 15 minutes with minimal equipment and at any ability level, snag your FREE copy of #FitIn15 HERE! How to combine strength and cardio for a ferocious total body workout done in 15 minutes – so you can have a life *outside* of the gym. 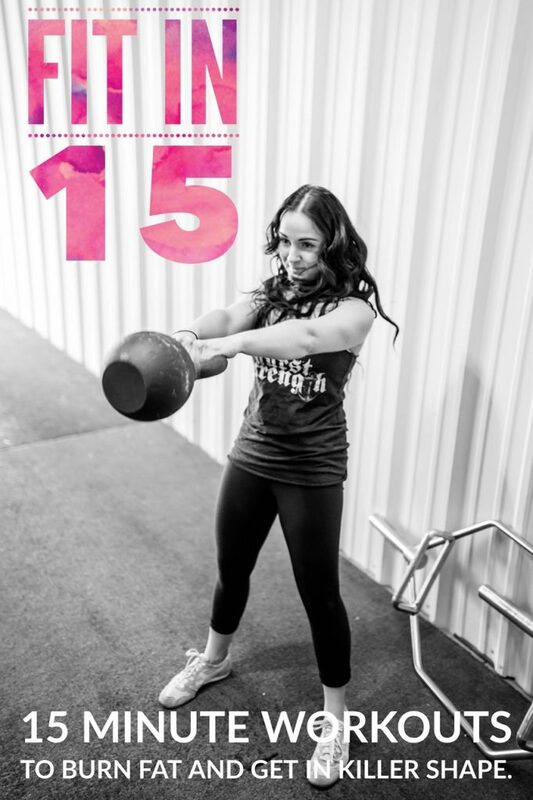 Get your FREE copy of #FitIn15 HERE! *Important note: If squats with good form are still causing you pain, it’s best to see a medical professional.